We at Twin Rocks are Trading Post kids. It’s sort of like being a military brat. You are in a world of your own, understood only by those who’ve been there, done that. Thankfully, it’s world that comes to your own door, and it’s also a world that’s as big as you want to make it when you step outside and climb into your truck. How many miles do you want to go to find a few perfect pieces? How many artistic friends do you want to meet on the way? How many do you want to make? Trading is an old and venerable way of life. The Mayans went up and down their trade route which, some say, went all the way to present day Santa Fe, NM, for more years than we can count. Here in Bluff, when you stand at the Great Kiva, you can still see the paths that led to Chaco, the center of another civilization. This year is a landmark birthday for Duke and Rose who have been together for just about forever. We wish them well. We’re glad they gave us the life they did. Happy Birthday! PS: Yes, they still have a trading post. And they have an RV Park. If you want to stop by, head up the road 25 miles from Bluff, UT and say hello to those good people at Blue Mountain Trading Post! Treasures await you. The Tree of Life is one of the most unique and interesting among Navajo myths and legends. It is the story about where the people came from and their beliefs in the progression and movement of life. It also sings about their connections with natural surroundings and the involvement of their gods in daily life. It is the story of who the Navajo people are today and the rhythm of their lives. 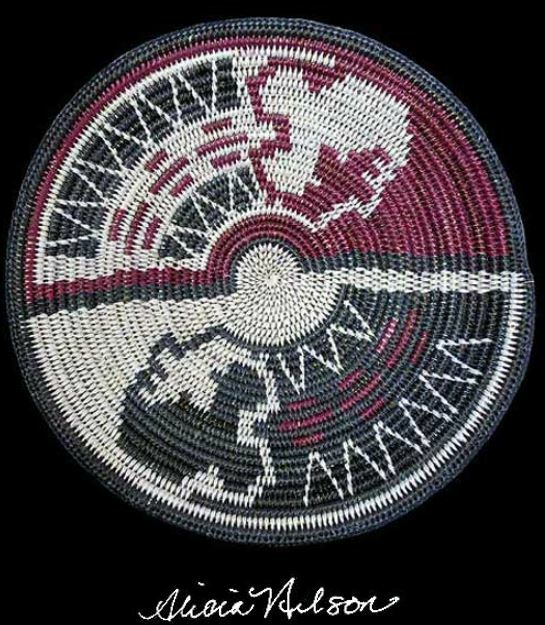 Most Tree of Life weavings have a stalk of corn in the center. And, at the base of this stalk, there is a symbol for the emergence of the people into this world. It is a story about the center of life. Is it any wonder that it is beautiful? 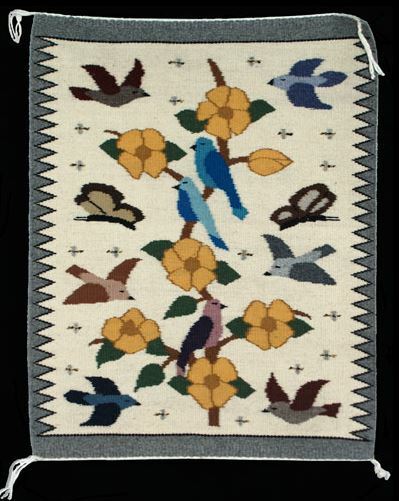 Bugs and birds, flowers and butterflies create flights of fancy in Rena Begay’s “Tree of Life” rugs. Bugs are about who the Navajo people were in the first creation story. Butterflies represent personal creativity, and birds are our connection with the gods. Flowers are our way of remembering that life is beautiful, and a climbing vine refers to the upward moving way. These are simple, gorgeous images woven in wool that recall our most basic hopes, wishes and needs. Look closely at this rug… Remember that life is good and smiles upon us all. A true miracle. We at Twin Rocks are proud of the young women who are our treasured neighbors, artists and storytellers. We’ve published photos of Miss Navajo over the years, and we’d like to share with you a different cultural perspective on Beauty. 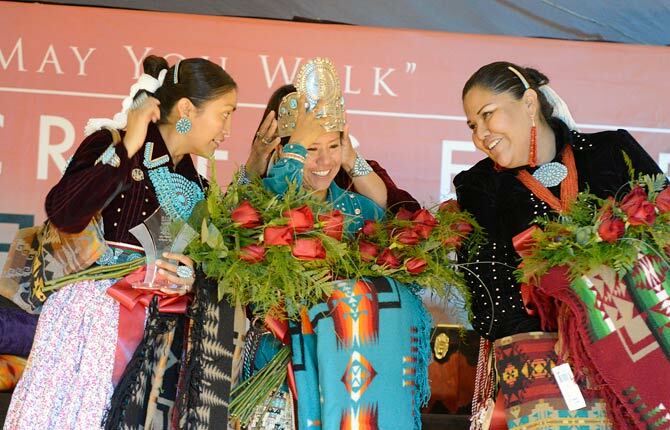 In keeping with Navajo culture and tradition, the role of Miss Navajo Nation is to exemplify the essence and characters of First Woman, White Shell Woman and Changing Woman and to display leadership as the Goodwill Ambassador. “My name is Leandra Thomas. I am Naakaii Dine (Mexican/Spanish people) born for Tsi’naajinii (Black streak people). 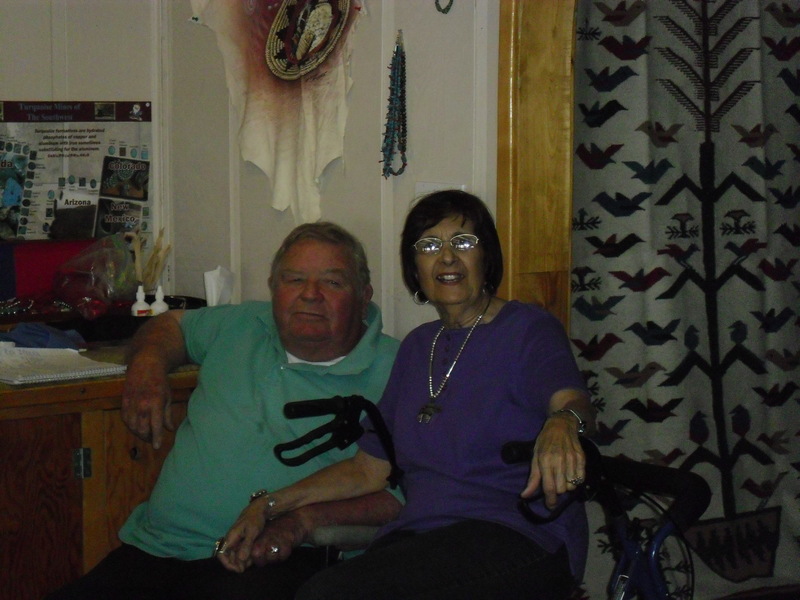 My maternal grandparents are Kiiya’aanii (Towering house people), and my paternal grandparents are Honagha’nii (Ones who walk around). I come from a small community called Steamboat Canyon, Arizona. I received my bachelor’s degree from Northern Arizona University in elementary education. I am pursing my master’s degree in bilingual multicultural education, also from NAU. Together… That’s how we all walk in Beauty. Thank you, Leandra, an extraordinary young woman. You make us all proud. 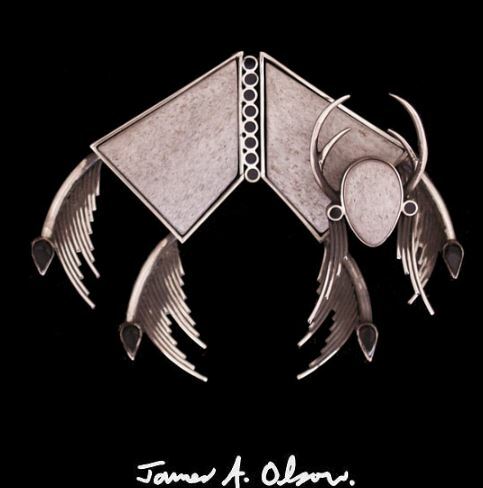 James Olson uses natural materials and combines them with the finest in silversmithing to create unique Southwest jewelry. From the fertile imagination of Jamie Olson comes a pin/pendent crafted of naturally shed deer antler with Utah jet and sterling silver. Jamie has titled this piece, as much art as jewelry, “Young Buck Prancing”. When it comes to his jewelry designs and the material he uses to produce them, this gifted artist is cleverly creative. Wearing Jamie’s jewelry tells everyone you have impeccable taste. That’s fine and dandy. Most of all, it makes you feel as if you have a magic talisman. Jamie’s work is finally getting the notice and recognition it deserves. Galleries in Denver, and Big Parts Elsewhere, are discovering him. He may live in a little studio just across from Twin Rocks Gallery and Cafe in Bluff, but as often happens, the world comes to Bluff. What the world discovers is art from the heart. Art from the soul. If you’re tempted to get one of Jamie’s pieces of jewelry, each one unique, now is the time. We in Bluff, UT are at the edge of the epicenter of nowhere, and thankfully so, but there is only so much Jamie to go around!